Marcus Rose and Emily Addington are giving new meaning to getting one’s fix from diving. The two are actively engaged in collecting underwater biological samples from a seawater loch in Scotland, in an attempt to discover potential new antibiotics. Their venture, Project Baseline Loch Long, works closely with researchers from the Institute of Pharmacy and Biomedical Sciences at the University of Strathclyde. Fellow citizen scientists can read about their adventures here. Is there a Project Baseline in your diving? 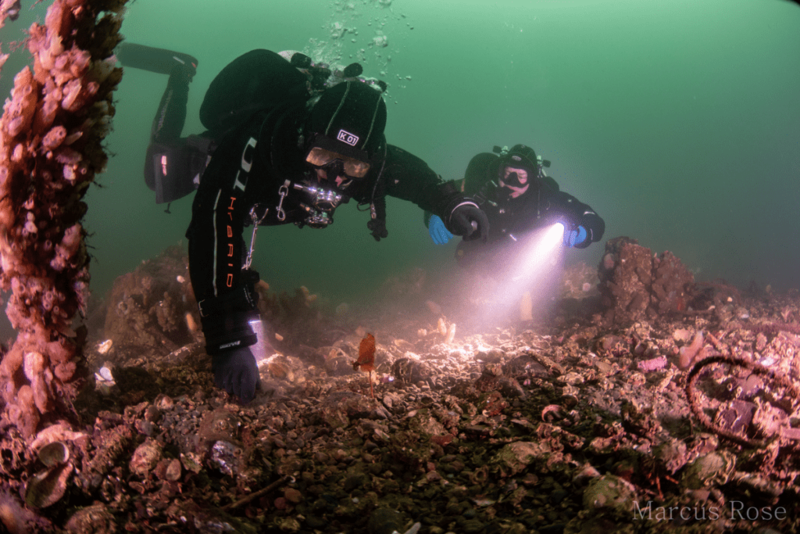 Project Baseline Loch Long (PBLL) team members are constantly on the lookout for opportunities to collaborate with conservation and scientific research organizations, and 2019 is already looking promising. Loch Long is a saltwater sea loch approximately 20 miles long and around one to two miles wide with depths ranging from six to 56 meters. The loch is the host to vast sea life ranging from plant life, small crustaceans, fish, and eels to large marine mammals such as porpoise and seals. 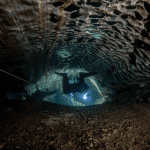 One of our regular divers is a postgraduate student at Strathclyde University, and his links with the university have introduced PBLL to Diving for Antibiotics. 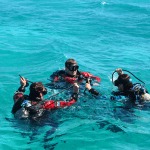 Diving for Antibiotics uses citizen science divers to collect underwater samples in an attempt to discover uncharacterized species of actinobacteria. Actinobacteria are found ubiquitously in soil across terrestrial, fresh-aquatic, and marine environments where they produce antimicrobial secondary-metabolites to compete with other microorganisms. These secondary-metabolites constitute approximately 70% of naturally derived antibiotics in clinical use today, as well as much of the anti-cancer, anti-anthelmintic, anti-viral, antihypertensive, and antifungal compounds. However, novel antibiotic discovery is now rare, as terrestrial strains of actinobacteria have been extensively explored and exploited. Unlike terrestrial sources, the marine biosphere has been relatively undersampled and holds enormous potential for the discovery of new actinobacteria species, which may produce novel antibiotics. In 2009-2010, 2,014 novel natural products were discovered from marine environments and in 2010, 300 previously unknown natural products were isolated from marine microorganisms and species of phytoplankton. In summary, the ocean holds great potential for the discovery of new antibiotics, and citizen divers are a useful and economic way of collecting samples. Antimicrobial resistance (AMR) is predicted to become a leading cause of death globally by 2050. By current estimates there are approximately 700,000 deaths per year associated with antibiotic-resistant bacterial infections, predicted to rise to 10 million by 2050. As antibiotics in clinical practice today become ineffectual, it is critical that new antibiotics become available. In order to generate interest in this collaboration opportunity, interested divers who apply will be sent a collection box containing a leaflet summarizing what antibiotics are, how they are discovered, why AMR is a global crisis, and finally, the importance of marine microorganisms in the future of antibiotic discovery. A guide to collecting a sample, along with a list of required information such as coordinates of the sampling location, will also be sent. The divers will be given a sterile collection tube with their own personal sample number, and a prepaid postage label allowing them to return their sample by post to the University of Strathclyde. They will then be able to use their personal sample number to track the progress of their sample on the Instagram: @diveforantibiotics. 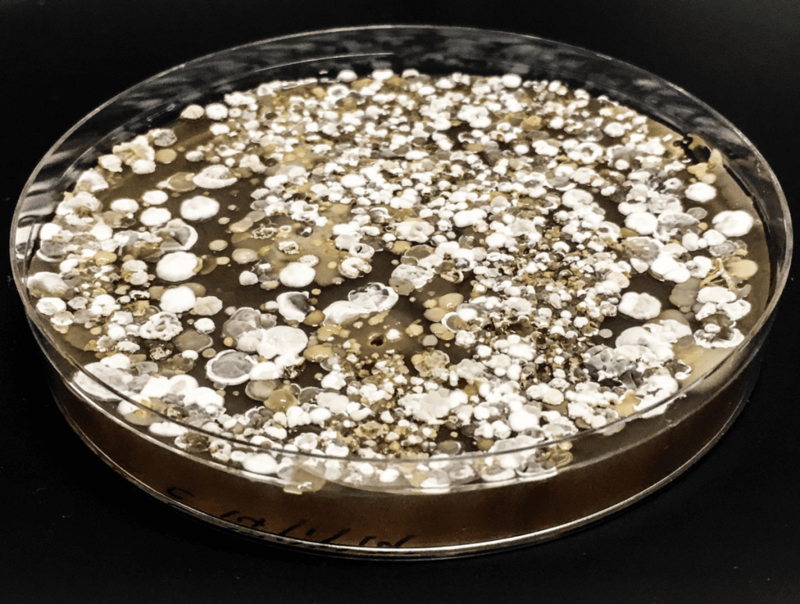 This Instagram channel will feature photographs of the isolates and describe how the bacteria are isolated, sequenced, and tested for production of bioactive metabolites. At the end of the project, participating divers will be invited to Strathclyde Institute of Pharmacy and Biomedical Sciences for an afternoon of talks about AMR and antibiotic discovery given by Ph.D. students. The Project Baseline Loch Long team is extremely excited about this latest collaboration, and we look forward to tracking the progress of collected samples. We’ll send a report once our samples have been submitted and their fate is known. Marcus Rose is a GUE instructor, passionate project diver, and is joint project manager (with Ryan Mcshane) for the Project Baseline Loch Long site. Teaching mostly on the west coast of Scotland, he also enjoys building collaborations with local scientists and conservation groups, and travelling to cave dive. 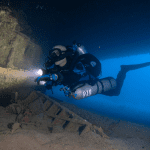 His recent participation in the Sardinia Cave Project was a highlight for him. Emily Addington is an EPSRC-funded Ph.D. student in molecular microbiology at the University of Strathclyde. Her research focuses on the evolution of bacterial virulence via investigations of the Actinobacteria Streptomyces coelicolor. As part of a Microbiology Society funded project, Emily is also interested in discovering novel marine actinobacteria with potential anti-microbial secondary metabolites and in public outreach and engagement. Emily holds a bachelor’s degree in biological science and a Master of Research in biomolecular science from the University of East Anglia, England.